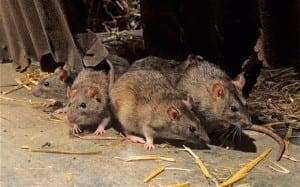 A NEW study has revealed it only took one carrier to bring the plague to Europe through Spain in the 14th century, where it remained for over 400 years. A team of scientists made the discovery after digging up ancient plague pits across Europe and analysing the DNA of victims. The results showed the fatal yersinia pestis bacteria came to Europe just once, countering previous theories that said it was reintroduced on several occasions. The plague, or Black Death, killed 60% of Europe’s population.